Need something fun to accessorize that Ugly Christmas Sweater for National Ugly Sweater Day? 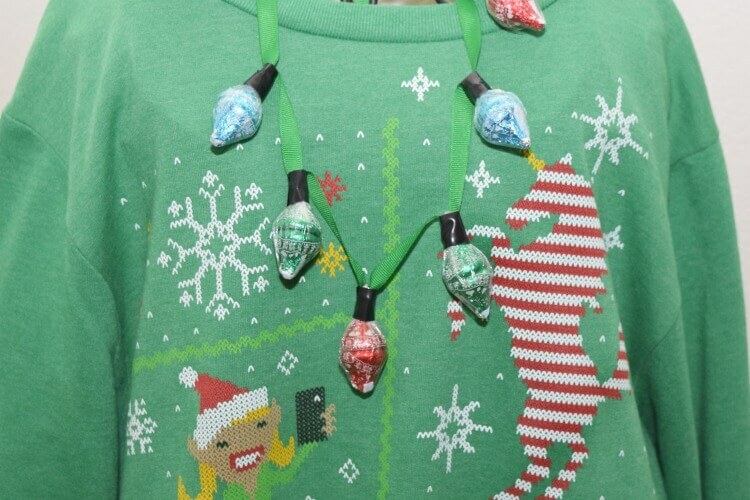 How about an Ugly Sweater Christmas Lights Necklace? 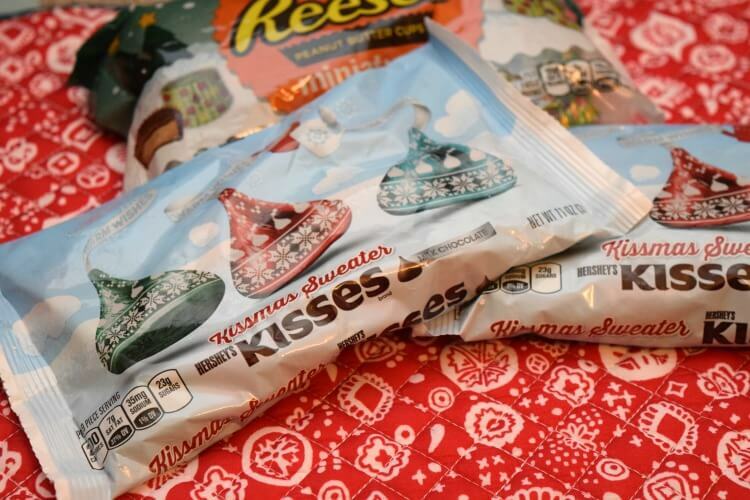 And, it’s made with Hershey’s Kisses Kissmas Sweater Chocolates which you can only find exclusively at Walmart! If you want to win an Ugly Christmas Sweater contest it has to be a head-to-toe ensemble from tacky shoes and hair to the accessories. 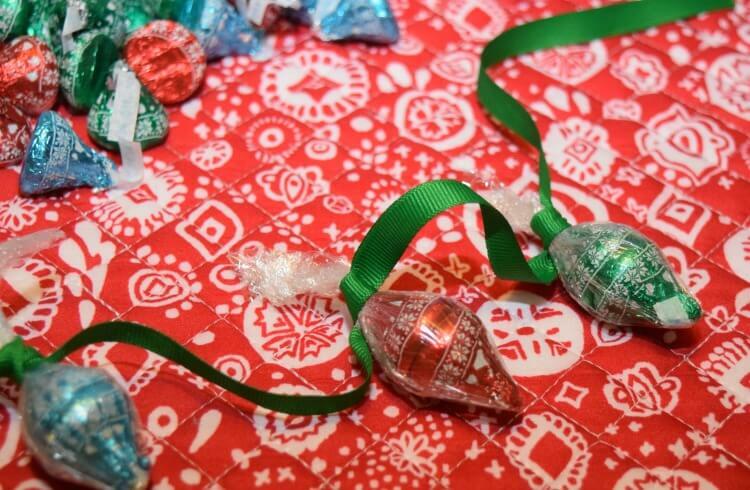 This is also a fun craft to make at your Ugly Christmas Sweater Party so everyone can accessorize, including the kids! This will take about 30-45 minutes to complete. How do you accessorize your Ugly Christmas Sweater? Have you been to Medieval Times – Dallas? I LOVE this idea! I’m one of those rare people who actually LOVE ugly sweaters and even wear them after the holidays. 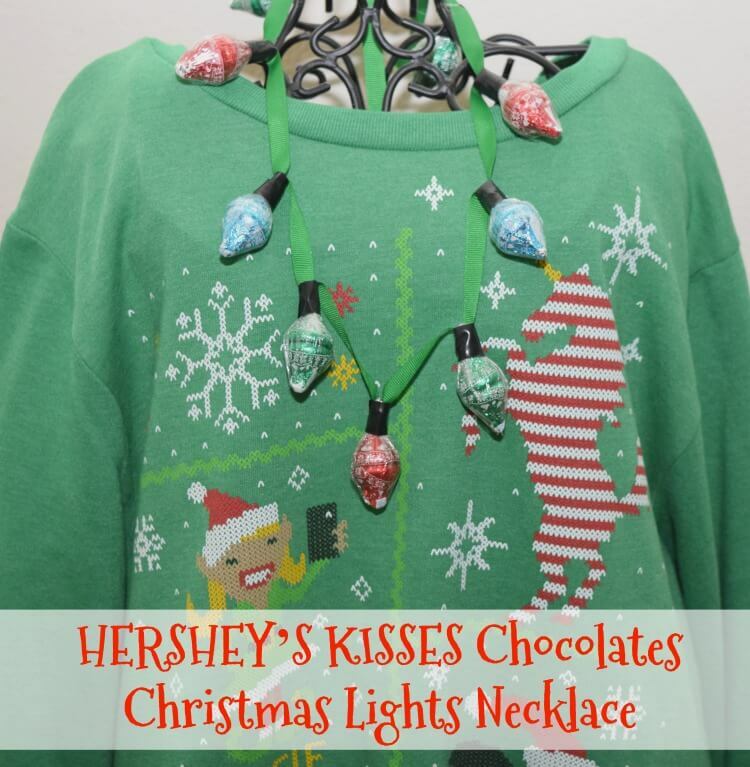 This Hershey’s Kisses chocolate christmas lights necklace is the perfect accessory to add onto an ugly sweater! Your a genius. 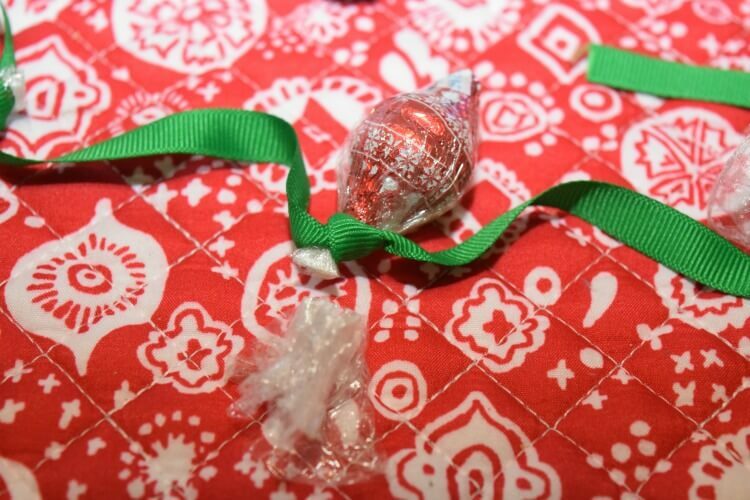 What a cute necklace to make out of kisses. Kids are going to have a blast making and eating their necklaces. Can’t wait go give this a try. I have everything on hand to make these adorable necklaces. 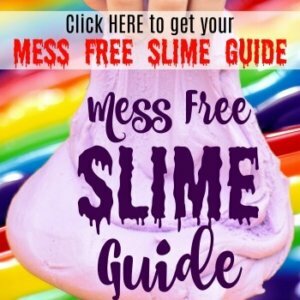 This is the cutest idea, how fun for the kids! Oh my gosh this is adorable! I have never thought of doing something like this but I love it! How creative are you? 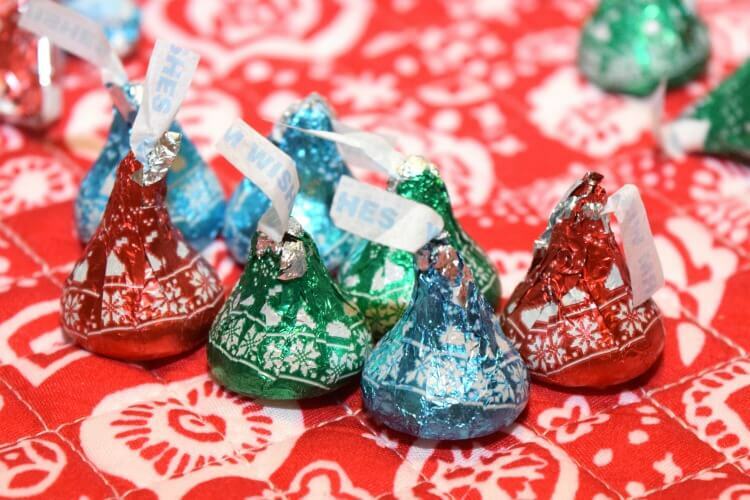 I saw so many different hersheys kisses but never the Christmas sweater ones. Those are so cute. I actually got quite a few different kinds like the candy cane one and I think it was a santa clause one with the white and red. But never those. I like this one. What a nice idea for a necklace to go with that ugly sweater. LOL! Happy Holidays! I have not seen these kisses before!!! 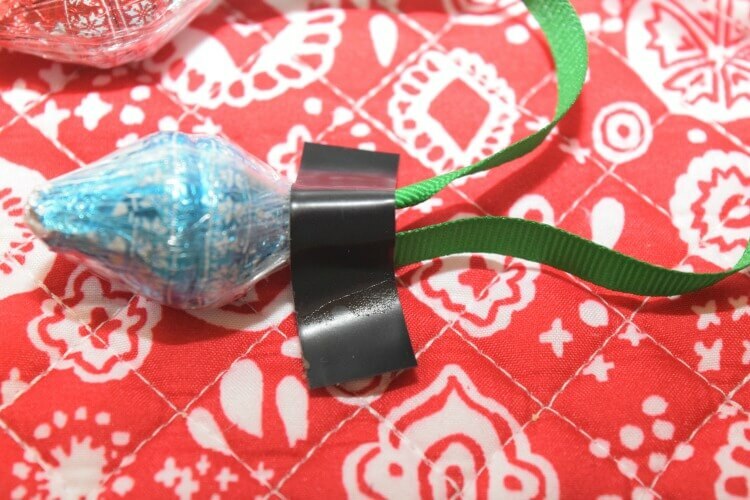 What a great way to make a necklace this time of year I love how it turned our!! This is such a cute necklace for an ugly Christmas sweater party! 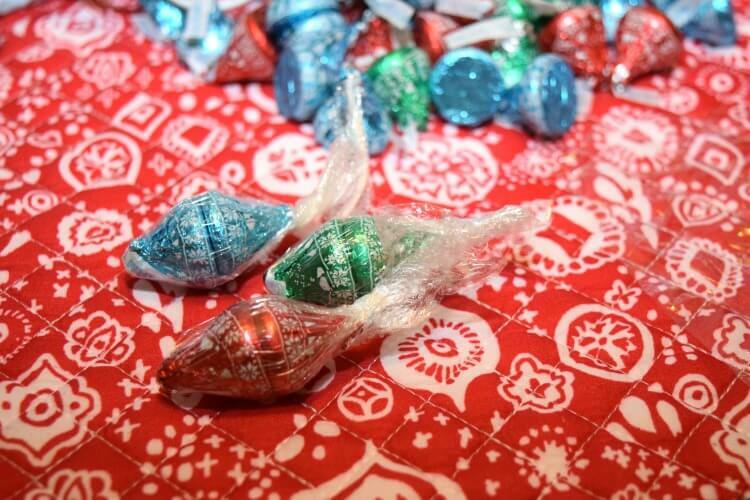 It would also be fun for kids to get as prizes for games at a Christmas party. How fun! What a festive idea! So cute and easy I definitely need to make a few of these! I am totally making these for everyone at work and making them wear them on Christmas eve! These are way too cute, thanks for the gift idea. 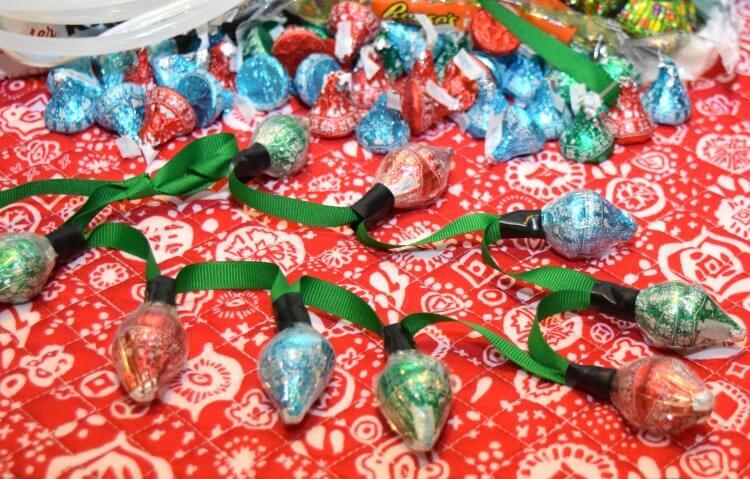 These Hershey’s Kisses Chocolate Christmas lights necklace is an awesome idea. I am going to have to make these for all the kids for our family Christmas party Sunday. Thanks for sharing the awesome idea. oh wow! That’s really cute idea! This is so festive and cute! It would be bring so much fun on Christmas eve! Oh my goodness this is beyond creative and oh so cute. What a fun and fantastic idea! I love it, such a fun idea my kids would love this too! Now this is a DIY necklace I would love to make! Cute AND delicious!! Hersheys is one of my favorite chocolate brands! I love the DIY necklace, so cute! What a creative idea! I need a DIY necklace like that when I am bloghopping lol. This is cute and creative. I love a good festive arts and crafts. 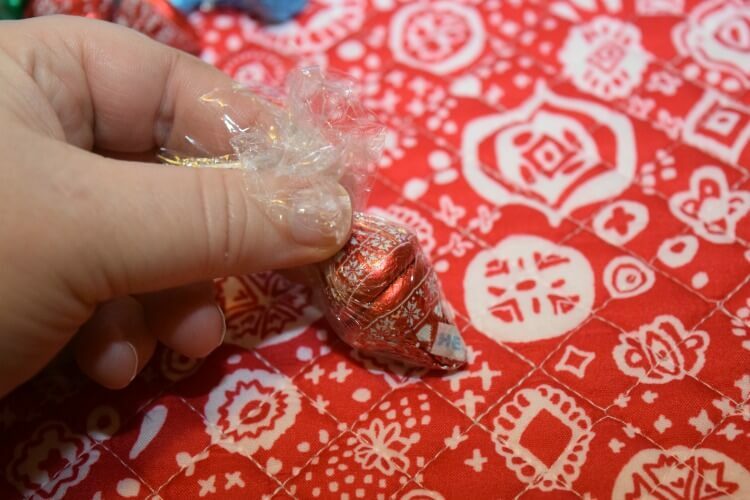 I love hershey kisses .I have never seen it before.